Let’s be honest, how many hours have you spent dreaming about your wedding day? Countless, I’m guessing! It is, after all, a huge, life changing, beautiful moment that you get to share with all the people in your life that you care for the most. I’m guessing again that you want to look stunning while doing it. The journey to find your perfect wedding make up can seem a little daunting, with so many options and Pinterest boards online. It sometimes seems borderline impossible to choose. But here’s where my experience as a wedding photographer comes in: I’ve seen endless brides rocking their makeup and I know what works and what doesn’t. It should always come down to what you feel comfortable in. Give yourself some time to think and figure out the vibe that you’re going for, but remember that your makeup on that day should just be a reflection of your normal style. 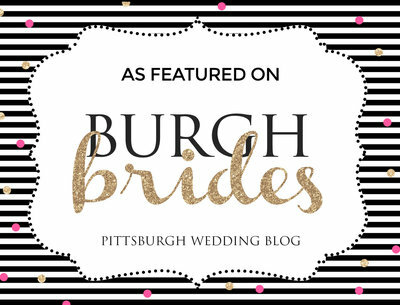 So, instead of giving you one of those “list of wedding makeup inspiration”, I decided to write a concise list of the top styles brides look the most beautiful in, on their Pittsburgh wedding. The key to achieving the perfect bridal look is making it look natural, since the main attention should go to the dress and the hairstyle; your makeup should just highlight all the other elements. For those brides that in their day to day lives love being makeup free, I recommend a stunning, sheer foundation, eyebrow gel and some blush, for the complete blushing bride look! The essential part here is leaving the eyes very natural, with thin eyeliner or some subtle, earthy tones. A more dramatic look is a popular choice among brides. Of course, always with good taste! For this kind of look you have two options: highlight your eyes or lips. For example, if you want to highlight your lips, you can use a beautiful red lipstick but keep the blush a natural, peachy pink and the eyes very neutral. On the other hand, if you’d rather draw attention to your eyes you can ask for a smokey eye shadow or smudged liner in dark tones. The advantage of choosing to emphasize the eyes is that the makeup will last more hours intact, and it gets even better if the waterfalls break and you have a few tears running down your face. The smudgier, the better! But, if you prefer to make your lips the center of attention, you’ll have to keep the lipstick near you, cause you’ll be retouching it throughout the night! Going with copper and gold tones is never a miss! One of the most popular wedding makeup looks, it is extremely flattering for brides. It’s about highlighting your natural color and giving you that tanned, goddess look, with the warm shades of bronze. As a Pittsburgh wedding photographer, I can tell you this style looks stunning in pictures.